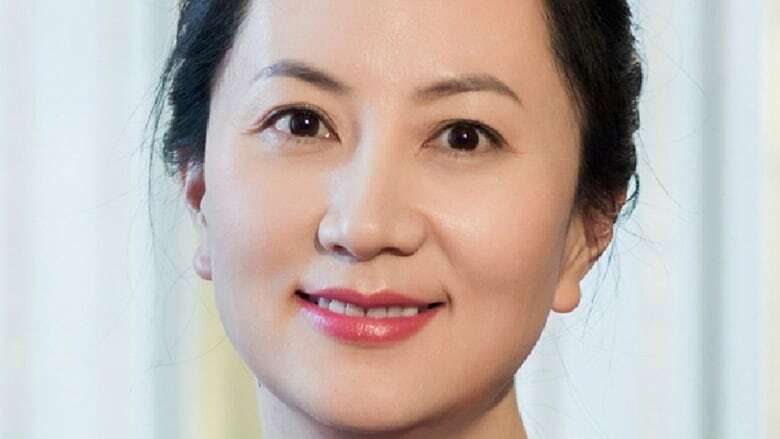 The arrest of Huawei executive Meng Wanzhou may inflame diplomatic and trade tensions with China, but Canada’s extradition treaty with the United States left it with no choice but to detain Meng, says a legal expert. The arrest of Huawei executive Meng Wanzhou may inflame diplomatic and trade tensions with China, but Canada's extradition treaty with the United States left it with no choice but to detain her, says a legal expert. Meng, the chief financial officer for the Chinese telecom giant Huawei, was arrested Dec.1 in Vancouver for extradition to the United States to face fraud charges. U.S. authorities allege she used a Huawei subsidiary to do business in Iran in violation of U.S. sanctions and lied to bankers about the corporation's ties with the subsidiary. Under the terms of the extradition treaty, the U.S. could request Meng's arrest in Canada if she was wanted in connection with conduct considered criminal in both Canada and the United States, and if the offence carries a jail sentence of a year or more. Once that threshold is met, the treaty compels Canada to act. "The appropriate authorities took the decisions in this case without any political involvement or interference ... we were advised by them with a few days' notice that this was in the works," Prime Minister Justin Trudeau told reporters in Montreal Thursday. Meng appeared at a bail hearing in Vancouver today. That hearing was separate from the actual extradition process, which could take months. The U.S. has to make a formal extradition request within 60 days of Meng's arrest and send the supporting documents to the International Assistance Group, the specialized branch within the Department of Justice that handles extradition. Within 30 days of receiving those documents, the IAG would advise Justice Minister Jody Wilson-Raybould on whether a formal extradition hearing would be justified. Under the treaty with the U.S., Canada cannot arbitrarily refuse to issue an authority to proceed. But once the formal extradition is made, Wilson-Raybould can exercise ministerial discretion. Canada's extradition laws give Ottawa the power to reject requests that it considers oppressive or politically motivated, a back door known as the "political offence exception." For example, extradition requests that seek to prosecute people for their race, religion, sexuality or political opinions would be out of order. Canada typically refuses to extradite people to jurisdictions where they would face the death penalty unless it receives assurances that the person being extradited would not be killed. If Meng's case goes to an extradition hearing it would be before a Superior Court judge, with lawyers from Canada's International Assistance Group acting on behalf of the United States. An extradition hearing is not a trial. Meng would not be allowed to call witnesses or present evidence in her defence. Judges in extradition hearings don't decide on innocence or guilt; they simply determine if the evidence provided by a foreign government is sufficient to justify going to trial and, consequently, the extradition itself. If the judge in Meng's extradition hearing decides the U.S. request isn't justified, she'll be discharged and released from custody. If extradition is ordered, Meng's case goes to Wilson-Raybould's office for review. The minister ultimately would decide whether the extradition could go forward after hearing submissions from Meng's lawyers. Any trial in Meng's case would take place in the U.S., under American law. Currie said the political offence exception could be raised at the point where Meng's file crosses Wilson-Raybould's desk. "The idea of refusing an American extradition request on political grounds is really, really unheard of and controversial," he said. "And yet I would say it is definitely something that would be argued by Ms. Meng's lawyers in this case." Meng also has the right to appeal the extradition judge's decision and apply for a judicial review of the minister's decision all the way up to the Supreme Court of Canada. Speaking to journalists Friday, Foreign Affairs Minister Chrystia Freeland said she has sent a message of reassurance to Beijing through John McCallum, Canada's ambassador to China. "And he has assured China that due process is absolutely being [followed] in Canada and consular access for China to Ms. Meng will be provided," she said, "and that we are a rule-of-law country and we will be following our laws as we have thus far in this matter, and as we will continue to do." Critics of Canada's extradition law say it sets the bar too low and can lead to significant miscarriages of justice. They point to the Hassan Diab case — which saw an Ottawa academic spend more than three years in a French prison on suspicion of involvement in a terrorist attack. Because the case against him was so weak, he was never formally charged. Diab ultimately was sent back to Canada and has been campaigning for a public inquiry into how his case was handled. French prosecutors are appealing Diab's release. The data suggest Meng is likely to be turned over to the U.S. if Wilson-Raybould gives the authority to proceed with an extradition hearing. Department of Justice figures show that 90 per cent of the individuals arrested for extradition in the last decade were eventually surrendered by Canada to the countries asking for extradition.